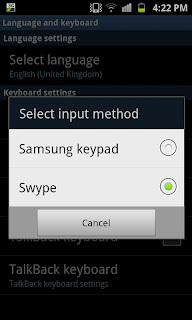 Mobile Phone Tips and Tricks: A different way to turn Swype on! I recent shared a way to turn on the Swype keyboard function well it appears there is more than 1 way to skin this Swype cat. 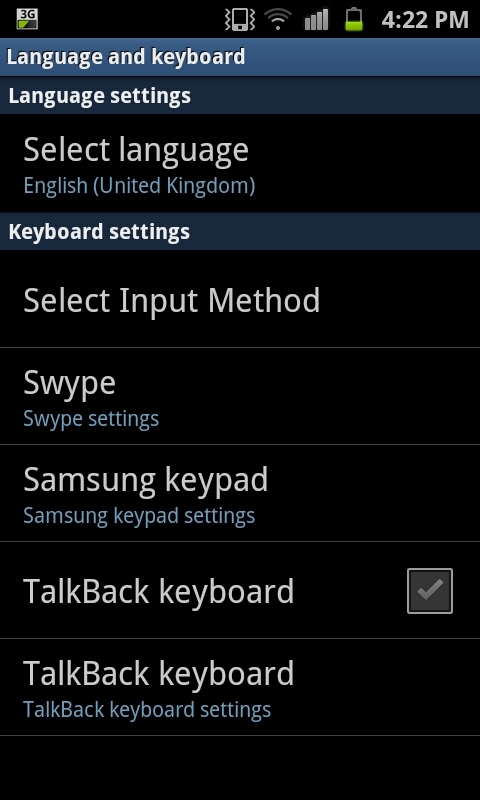 This way sees you going through the settings options to turn on Swype rather than going through the message screen. can be seen to the left of this paragraph. On this screen you ideally need to select on "Select Input Method" (if you have changed it via the previous technique then this option will look very familiar to you. After moving onto the method screen you will be given 2 options you can either use the default "Samsung keypad" which is the phones built in keyboard, or you can select the Swype method which has an altered keyboard and a very unique input system that sees your "swyping" the screen to form your words (though you can also do single button presses as well). 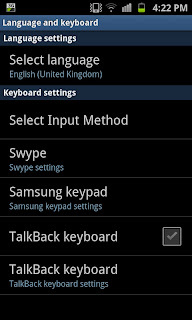 As with the other technique I would advise you do try out Swype on your new Samsung Galaxy S2 before you decide it's not for you.